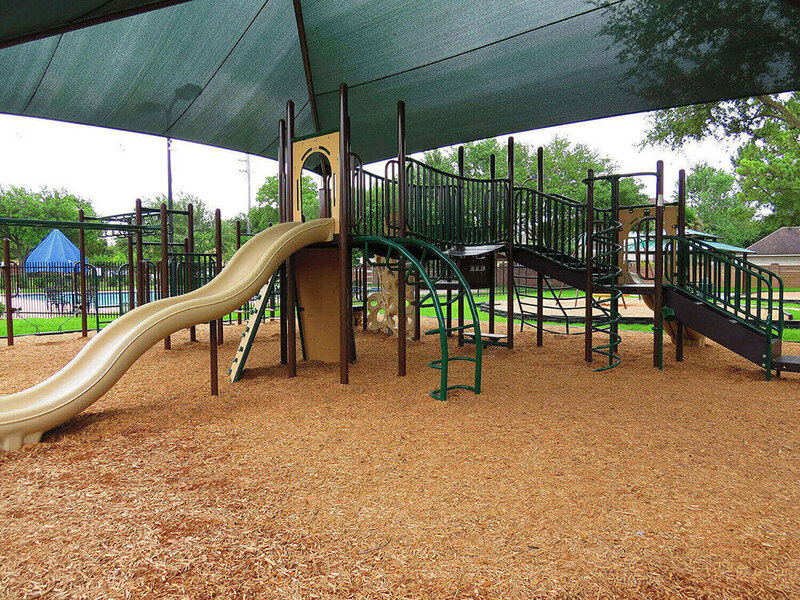 Engineered Wood Fiber is the most popular and economical choice for playground surfacing and it is used in almost 75% of surfacing installations. Its popularity stems from it’s low initial cost, natural look and high shock attenuation properties. 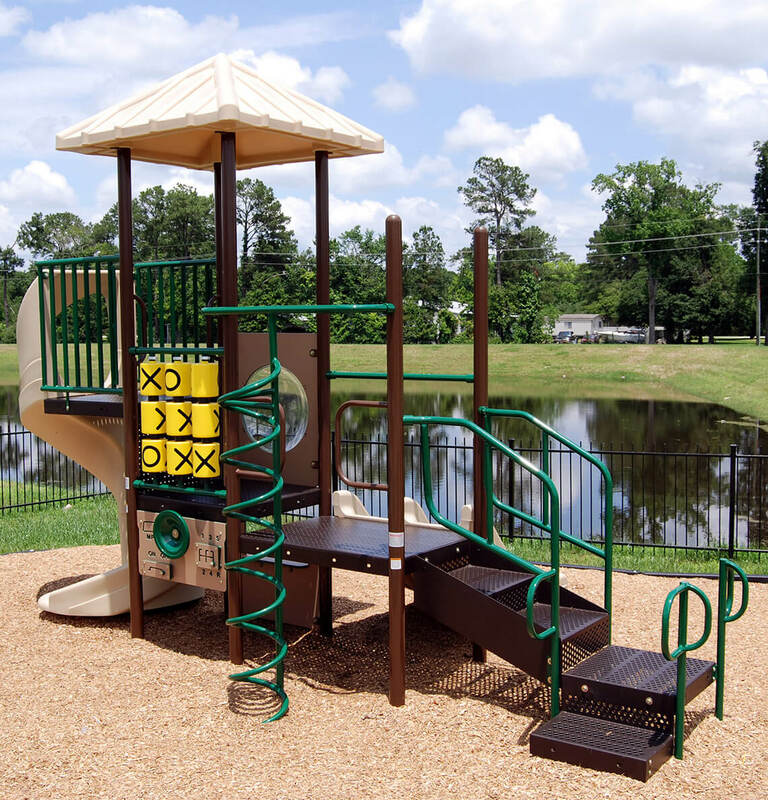 Also known as Kiddie Cushion this ADA compliant surfacing material is made from natural wood fibers that are engineered specifically for the needs and safety specifications of the playground industry. 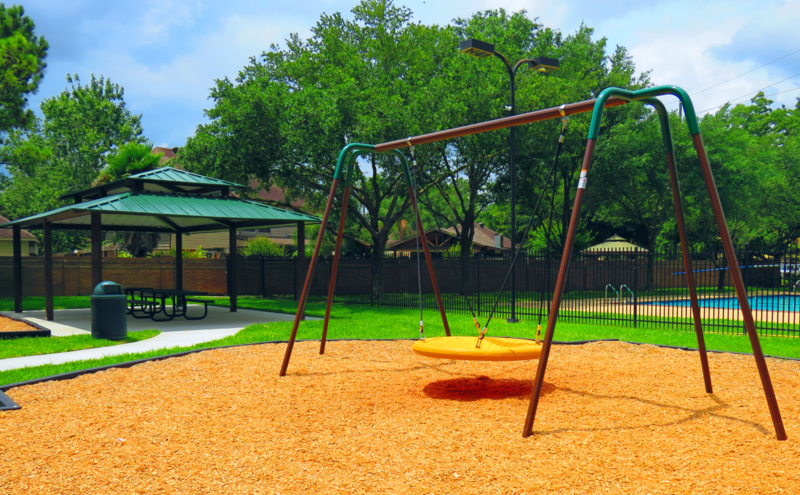 However maintenance is critical to keeping engineered wood fiber ADA compliant, it requires ongoing raking and an occasional top off during its lifetime due to compaction and natural decomposition. Budget friendly choice with the lowest initial installation cost. Meets ADA compliance when properly installed and maintained. Easily installed by a volunteer or maintenance crew if budget is limited. 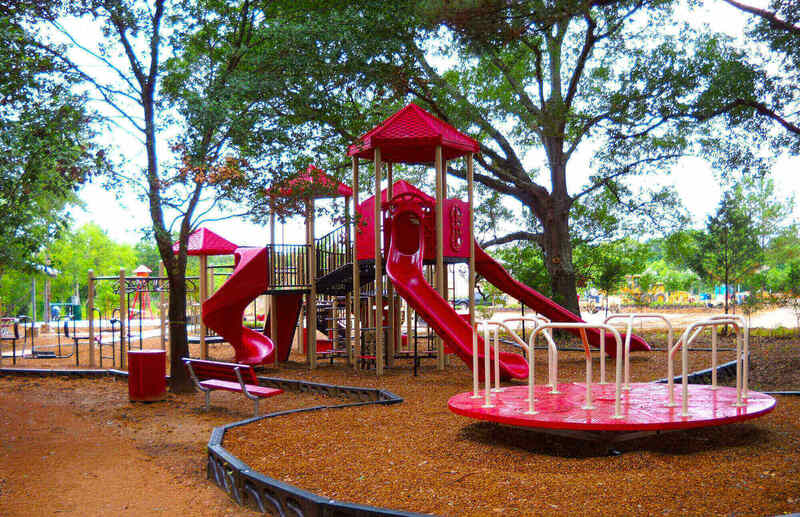 EWF is specifically engineered to meet the specifications of playground industry. Will require periodic topping off to maintain depth required for critical fall heights. Ongoing maintenance needed over surface lifetime, especially in heavy wear areas.